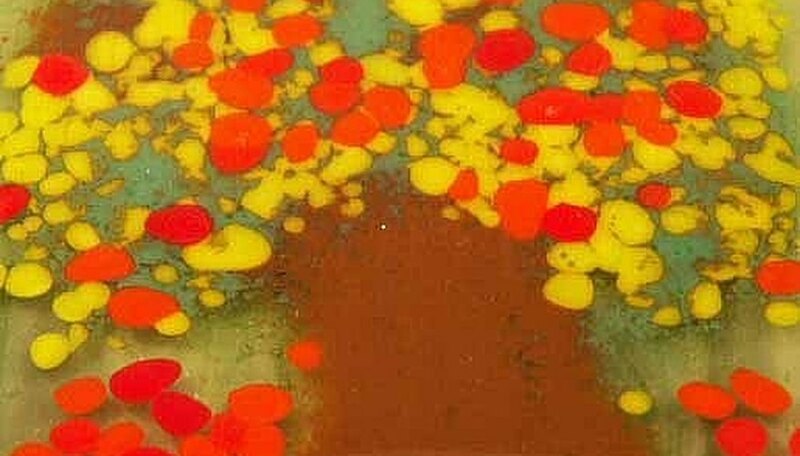 Frits and powders are great for creating intricate fused glass paintings. This technique is called "painting with light" and "painting with frit." This tutorial will show you how to use frits and powders to create amazing fused glass art. Gather your tools, materials and glass fusing supplies. Sketch out a design on a piece of paper. Select your color palette of frits and powder. Cut a 8x8 inch square piece of fusible glass to use as a base plate. Draw your design with a sharpie marker unto the base piece of glass. Note that it is easiest to use clear glass at this stage because you can place the glass over your design and trace it onto the glass. Turn the clear piece of glass over so that the sharpie writing is facing down. Your design will be reversed, so bear that in mind when both designing and tracing. To create a black outline, place some black powder in a line sifter over the outline of your design. To thicken and even out this line, place some black powder in the middle of the glass and push it with the eraser of a number 2 pencil or a Kemper shaping tool to the thin line of black powder created by the line sifter. The marks of the sharpie should be covered when you are complete. Add frits and powders in the center of the design to complete the picture. To create greater detail, painting with light can be done in three or more firings. You will need to adjust the firing schedule in the glass kiln with subsequent firings. Line sifters, frits and powders can be purchased where glass fusing supplies are sold. Be sure your fired objects have returned to room temperature before removing from the kiln. Removing the items from the kiln before they are at room temperature may cause then to shatter, even if they are not to hot to touch. Never leave a glass kiln unattended when it is firing. Take all fire safety precautions.